Attempting to rush through a pull can lead to the entire operation taking longer than if you’d used multiple anchors right from the start, a Car-O-Liner expert said last month in a Collision Hub video that explored the three-dimensional nature of pulling and how to visualize it. 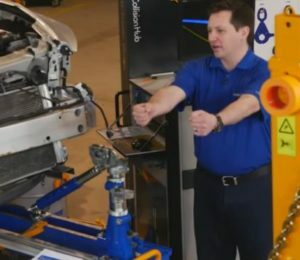 The video was tied to the debut of a new in-shop structural anchoring and pulling course from I-CAR. 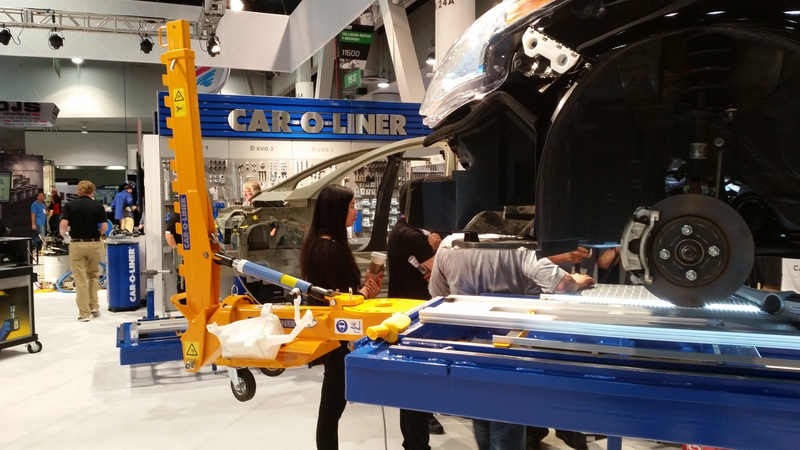 Co-presenter Jason Bartanen, I-CAR industry technical relations director, said that prior to the class, there didn’t seem to be many formal resources on the “thought process” to apply when pulling a vehicle. “There really isn’t anywhere to read about it, or to understand it,” agreed co-presenter Car-O-Liner Training Academy manager Mike Hoeneise, who’s been a structural technician for 12 years. Hoeneise throughout the show demonstrated the importance of attempting to act out the pull in question in three dimensions, including with one’s own body. In one example, Hoeneise offered the example of standing straight, arms outreached, and being pulled forward. One’s heels would begin to elevate off of the ground, simulating what might happen to a vehicle rear if the front end of the car were pulled forward. “We can’t change just one dimension,” he said. He also suggested visualizing the pull itself — taking into account the shape and movement of the clamp and position of the tower — when setting up the equipment. Avoiding unwanted parts of the car moving during the pull simply requires more anchoring, according to Hoeneise. He observed that when he’s attempted to do a quick setup, it winds up backfiring. “It slows you down, because what happens is, you start fighting yourself,” Hoeneise said. Hoeneise said he might put additional anchoring on the front end of the sample vehicle used in the show, which he said had damage up to the subframe. “It’s really about: How many ways can you imagine to tie this thing down?” he said. When it comes time to pull, a repairer would want to select a point to monitor, according to Hoeneise. The pull itself is a “critical time,” Hoeneise said. One watches elements such as a the clamp, chain and vehicle itself. If something bounces, stop the operation and determine factors like what moved and if the vehicle needed to be recentered, according to Hoeneise. He recalled an instance where the vehicle jumped and the target changed position; though it would have looked onscreen as though the car were fixed, in reality, the measuring equipment just registered the new placement of the target. Such movement required one to check out the vehicle and see what moved, he said. Bartanen asked if the strategy was “really, ever-changing,” drawing a nod, and he asked if a pull had ever come out as anticipated without any tweaking during the process. Hoeneise responded with a tale of a mentor. He and others would keep asking questions about how to handle certain cases, attempting to write a sort of Theory of Everything, a “Bible” with instructions for every possible pulling scenario inside. “‘That’s the answer to all those questions,'” the mentor said, according to Hoeneise. Shops are likely to go through this process twice should the vehicle sustain two types of direct impact. While indirect damage might “walk out,” each instance of direct damage requires a separate pull and strategy, according to Hoeneise. “I can’t remove direct damage by pulling somewhere else,” he said. Asked if one’s visualization process changed for a rear or side impact, Hoeneise said the rear of the vehicle had “a lot more stuff to bend and absorb energy” and could make it harder to visually spot damage. Nobody seems to want to take the rear trim panels out, according to Hoeneise, and “I don’t understand that.” It’s one of his first steps so he can see the hidden damage and do some point-to-point measurements. As for a side impact, “all bets are off,” Hoenesie said. It’s a soft exterior over a hard interior, and a shop would probably have to remove at least the outer skin just to see what was going on inside — but do so carefully to avoid cutting into a reinforcement and totaling a car. You’re going to want to see if boron or Martensitic steel panels moved, according to Hoeneise. However, as the vehicle’s grip to the road is typically weaker than those ultra-high-strength steels, the car should slide rather than see deformation in the reinforcements. If that area was deformed, the car “had a very bad day,” he said. Correction: An earlier version of this article contained a hyperlink to a different I-CAR course than the one discussed. The correct course isn’t formally available yet. The article has since been altered to correct this.